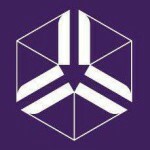 A joint post by Dr. Mindel van de Laar and Katerina Triantos. There’s a first time for everything. Recently, in partnership with the Dutch government and the SURF organisation, we’ve developed online courses to help students choose their tracks (the basic idea is that if they’re better informed from the start, they’re less likely to drop out). We piloted SMART Choices in the autumn of 2017 – and with some success, according to the student evaluations. Before developing these tools, we talked to various teachers, track coordinators, and programme staff. But this only gave us the ‘Maastricht view’ on things – while we plan on serving a global audience. So, in order to pin down the needs of this global audience, we launched a webinar to discuss how Open Higher Education can share e-learning content and ease students into the labour market. Or, to be more precise, how can our current SMART Tools connect to both employee and employer needs, and better fit the community overall? The webinar took place during ‘Open Education Week’, and was professionally supported by the Open Education Consortium. As is often the case when starting something new, we drastically over-prepared. Not knowing how many people would actually join, we prepared for various sizes of audience: for five, 15 and 50 people. We then came up with scenarios to split people into groups for debate, to engage in interviews, and had various other ideas. We developed survey questions to be answered before and after the event, and felt as ready as you possibly can be when launching into the unkown. All went smoothly on the technical front. The webinar was announced, people joined, and we stayed connected for the entire hour. The audience was limited in numbers, with on average of 5-10 people connected at the same time. But – as we had hoped – the audience was indeed global, and from various educational and labour institutions. And they were engaged and willing to assist us. 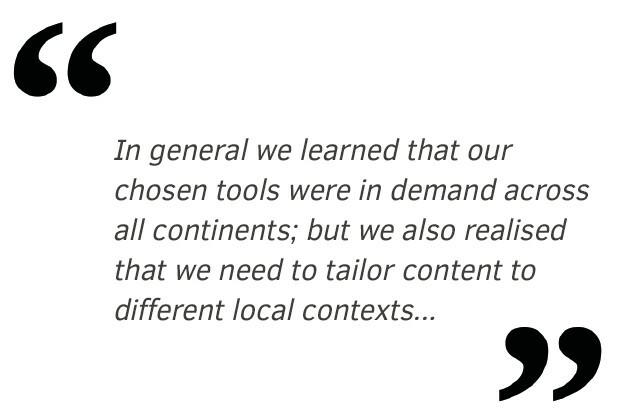 In general we learned that our chosen tools were in demand across all continents; but we also realised that we need to tailor content to different local contexts. While generic skills can be developed in a tool, we also need to include different case studies to reflect different regional concerns. We also understood from the debate that our approach may have been too ‘safe’ – staying too close to the academic landscape. The practitioners in the webinar stressed that our graduates will have to function in often-unpredictable political landscapes. We therefore need to prepare our students to be very targeted, i.e. to-the-point, when reporting to policymakers. At the same time they should also be bold and entrepreneurial in their abilities, in order to find (political) support for what they want to achieve. We are currently developing eight tools. The webinar convinced us to focus on three tools that we initially did not stress that much: on blogging, on writing policy briefs, and on creating political will. Testing how these tools are received by our student population will be the next step in the process, and we’re now very much looking forward to that! And yes, we struggled during the webinar. We struggled to get our survey questions out, to notice the chat inputs and answer them, to stay in the debate and introduce chat items to the audience, to engage all participants and summarise the main inputs for our own use. We quickly learned that hosting a webinar is hard work! Keeping it simple with open debate may be more beneficial than preparing sophisticated presentations and using complicated settings. It’s a steep learning curve, but we definitely had fun on our first webinar!